A garden nursery for my first! 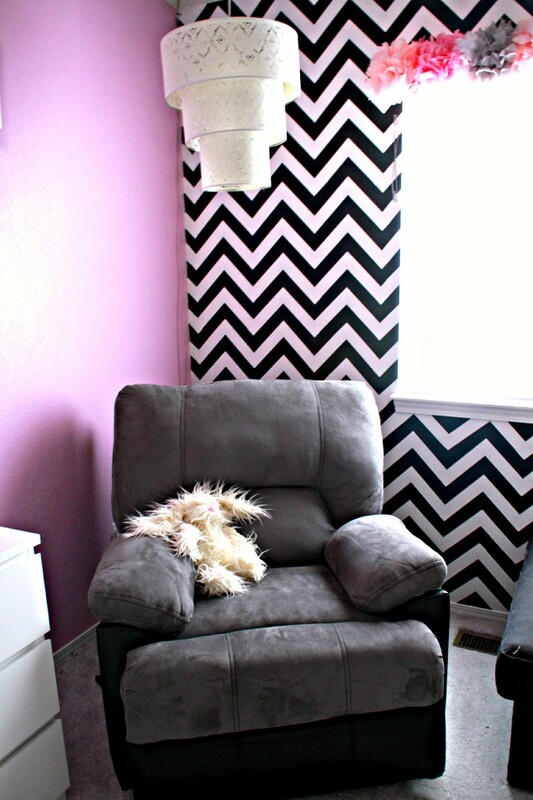 I'm an addicted DIY'r and managed to save a lot of money as well as create some unique looks for my baby girl's room. 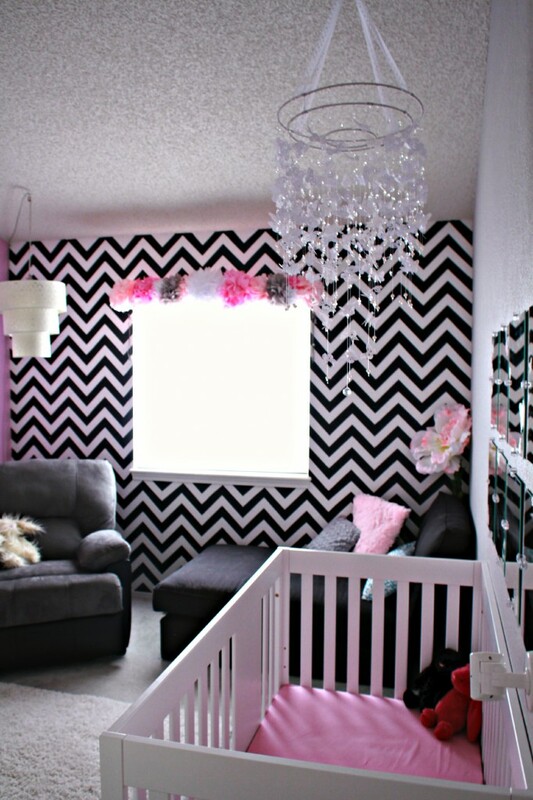 I knew I wanted her room to be very girly, but not TOO baby-ish. I started to think about things that were girly but not too overdone for babies- then I thought of my Mom. My Mom has an amazing garden that she works on and adds to every year, and all the flower ideas came flowing out! Butterflies pinned next to her name were from Target. 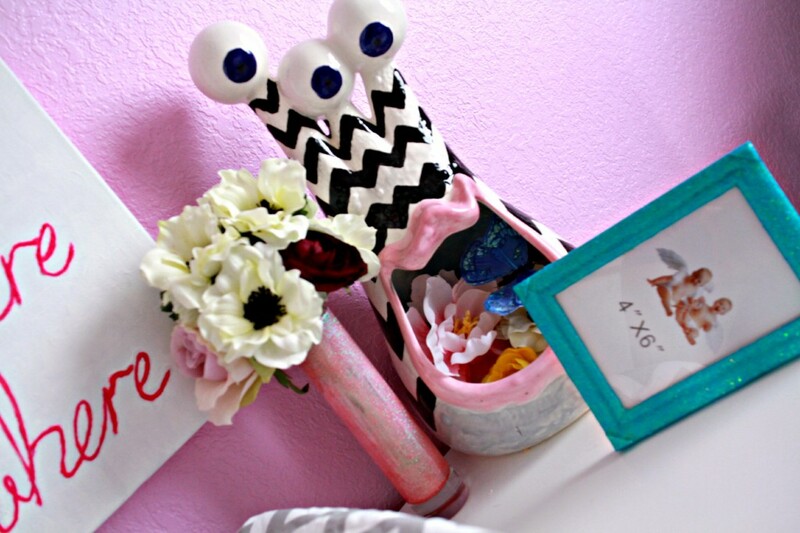 Most frames and vases were from Hobby Lobby with various DIY projects to make them unique. 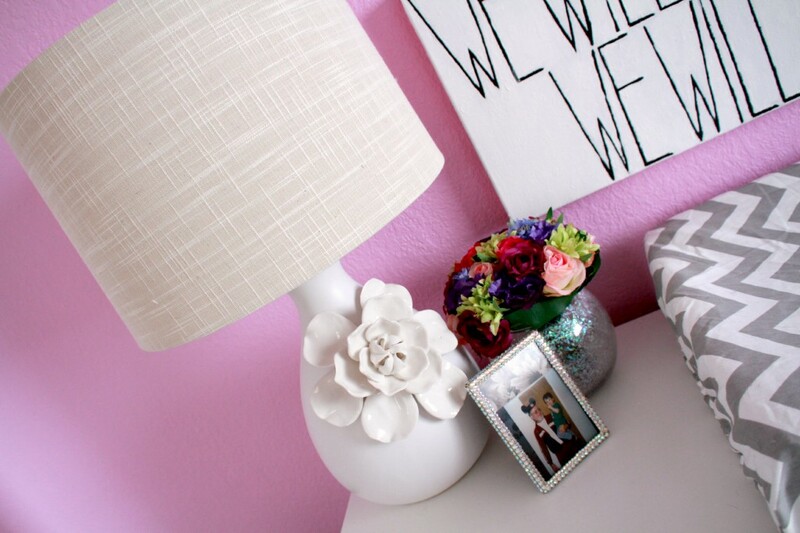 Flower lamp from Hobby Lobby. Canvas was DIY'd with glue and glitter/flocking. Ceramic Monster painted at Color Me Mine. Pendant lamp was from West Elm, but from years ago- no longer available. Recliner from American Furniture Warehouse. Tissue paper pom valance. 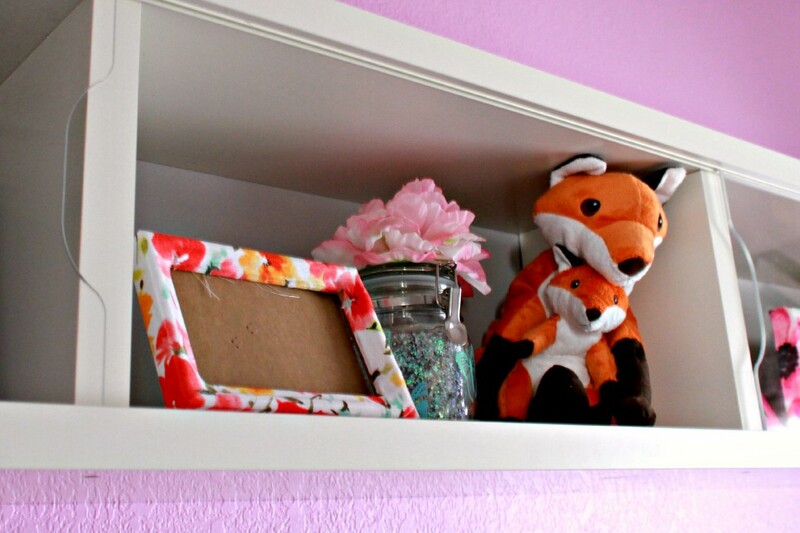 Poms were DIY'd and attached to a valance rod. Giant flower from Hobby Lobby. Butterfly Mobile: Hours and hours of DIY on this one. Used Martha Stewart craft punch for the butterflies, and lots and lots of beads for sparkle! All stuffed rabbits are by JellyCat. Any other questions about where I got something, or how I made something please just PM me! Start working in advance- this took a ton of time, and most of these projects I wouldn't have the patience for in my 3rd trimester. I love what you did with the whirly hanging candleholder! So colorful! Yeah, I think so too! They’re kinda whimsical. I think their effect would have been more dramatic if they were the only ones on the wall, and there wasn’t any shelf above it or sign below it, and so much more if the wall was lighter and the flowers would really pop out. Thanks! I’ve had them for years and never had the right use for them- I was so happy to finally use them! Meh that would have felt too dead to me- they’re not all that big and that would have left a big empty wall!